Pretty as the Nordic province of Skyrim is, it certainly is not the kind of place you would travel to on a vacation, given its harsh climate. Thankfully one enterprising gamer has seen fit to release a mod which completely transforms Skyrim’s weather, so say goodbye to those raging blizzards and snowy valleys, because this mod makes Skyrim’s landscapes look like those of a game like Far Cry 3, as it features lush tropical beaches, palm trees and jungles. 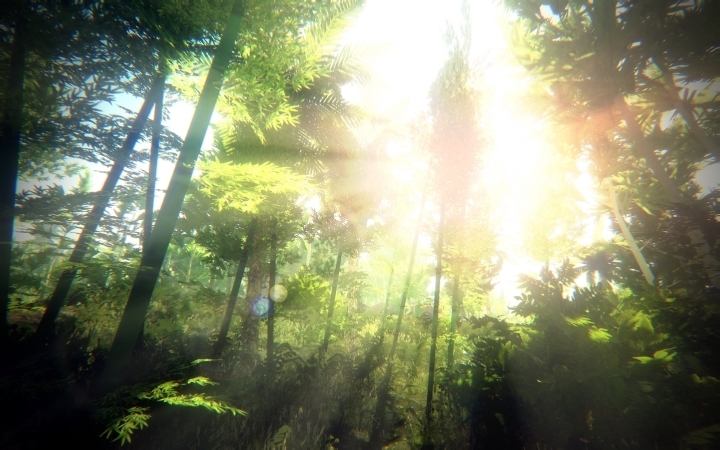 And not only does this mod turn Skyrim into a tropical paradise, but it also adds new wildlife more suited to the new climate. So expect to encounter gorillas and tigers as you traverse the wilderness, but also believe it or not, dinosaurs! Yes, those raptor dinosaurs seen in a movie like Jurassic World have made their way to Skyrim, but thankfully they are not that hard for the Dragonborn to take down.